Widely acclaimed as an efficient and effective manufacturer and supplier, we are engaged in offering Rotary Vacuum Paddle Dryer. 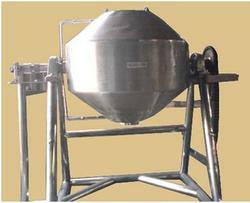 Rotary vacuum paddle dryer is used to obtain dry powder from wet cake or solutions. With very high efficiency and low operating costs compared to other dryers, rotary vacuum paddle dryer is a closed system in which hot water, steam or hot fluid is used as a heating medium in the jacket. Almost 100% recovery of solvents. Evaporation Rate : 4.12 Kg/ HrlSq. Meter of Heating surface area of water at heating temperature of 100°C. Breaker bars of approximately same length as dryer shell can be provided if lump formation is expected during drying. Clients can avail from us Rotary Vacuum Dryer, as we are a leading manufacturer and supplier of rotary vacuum dryer. Rotary vacuum dryer offers clean, simple and effective method of drying filtered/centrifuged wet cakes, wet powders and slurries. Operating under vacuum, the rotary vacuum dryer effectively dries heat sensitive materials whereas the solvents are condensed and recovered, while operating in batch mode. 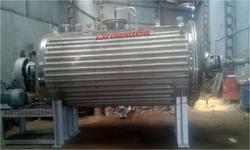 Known in the industry as a prominent manufacturer and supplier, we are engaged in offering Drum Dryer. 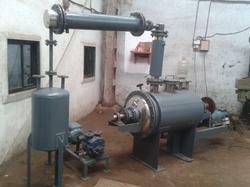 Drum dryer is used to dry out liquids from raw materials with drying drum. Pure raw ingredients are dried at relatively low temperatures over rotating, high capacity drums that produce sheets of drum-dried product. The product is milled to a finished flake or powder form.